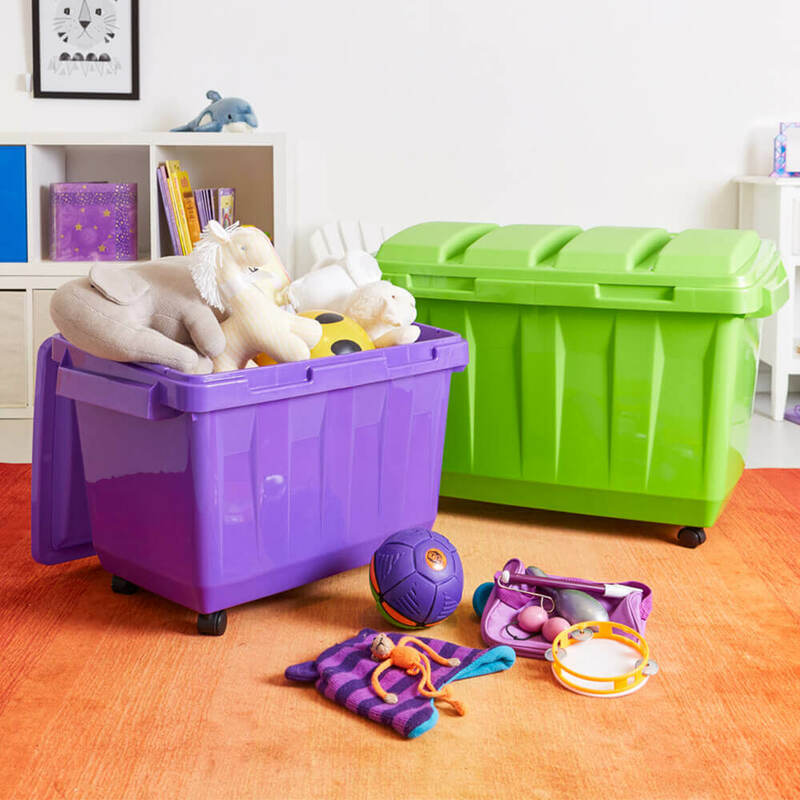 Styled after its full size namesake, the mini dumpster is the perfect tub for children’s toys and belongings. 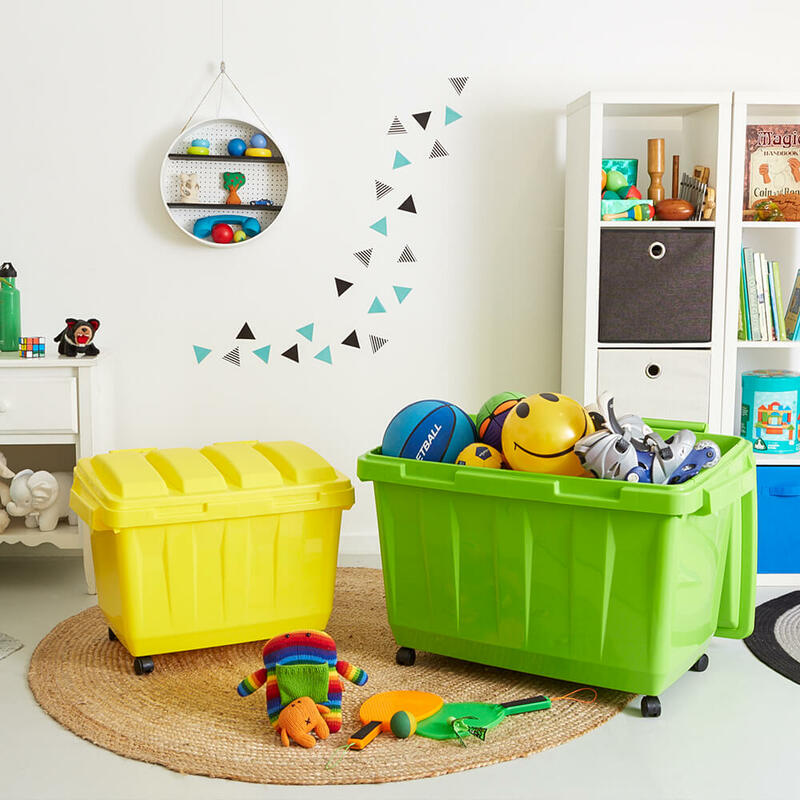 Its robust design and thick wall sections make it able to withstand the rough-and-tumble of playtime. 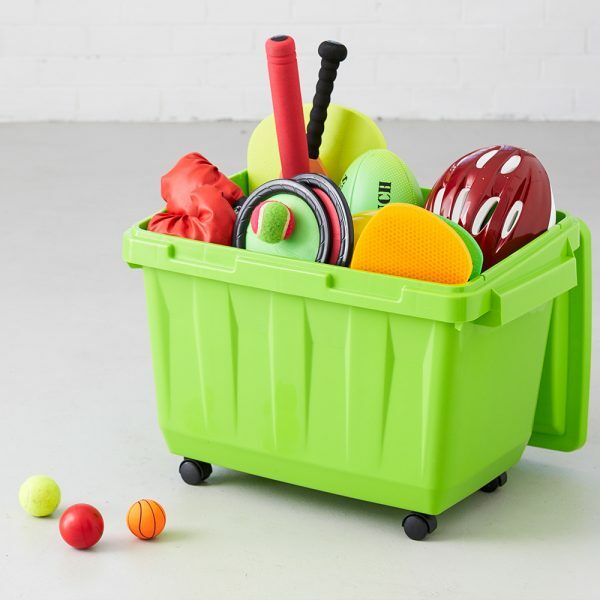 The castor wheels and large carry handles provide easier manoeuvrability and the vibrant playful colours will brighten any room. 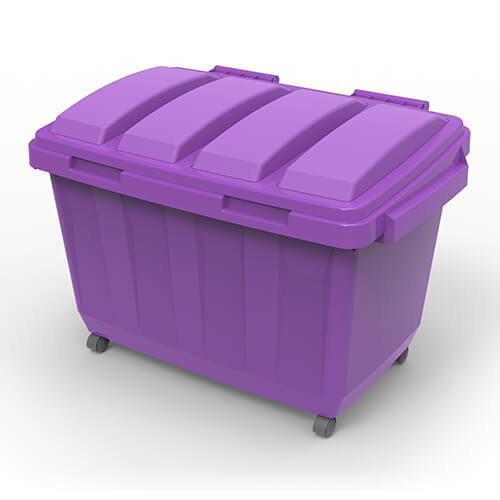 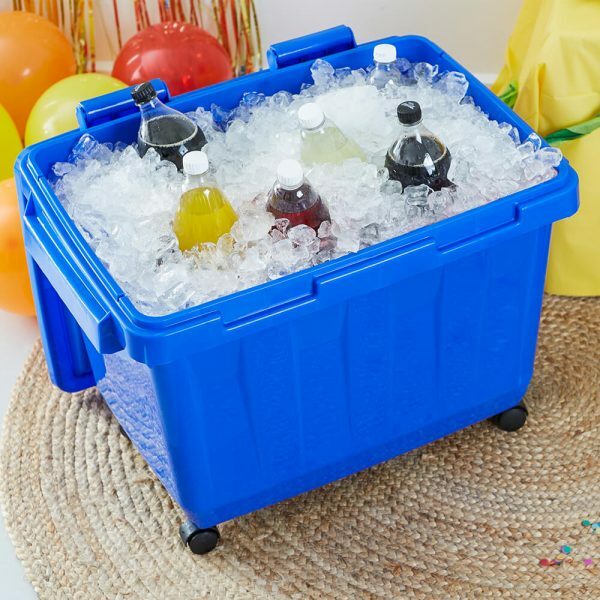 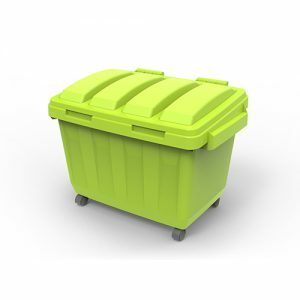 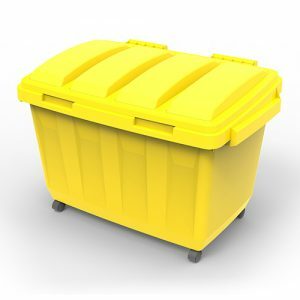 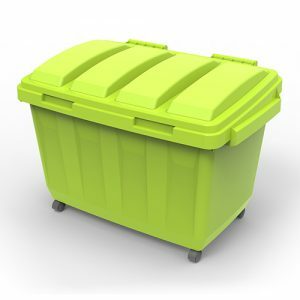 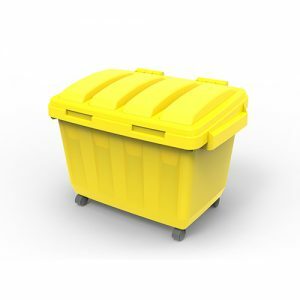 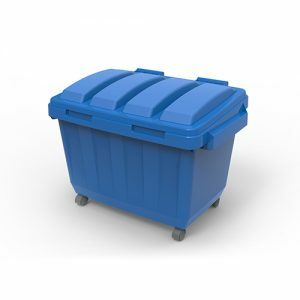 The Dumpster is made with a high gloss finish for easy cleaning and is BPA free and food safe.